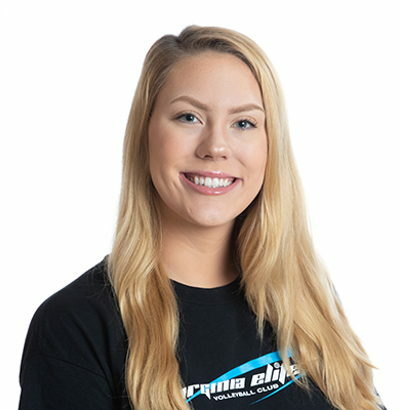 Brittany Connatser enters her second year of coaching with Virginia Elite as an assistant to the 13’s team. She previously played for the club’s 16’s, 17’s, and 18’s teams, earning the Initiative Award in her final year. Connatser was a 3-year all-conference honoree while playing for Robinson Secondary School. She then went on to play for Lindsey Wilson College, where she helped the Blue Raiders to a perfect 35-0 record and the 2017 NAIA National Championship title. Upon returning to the D.C. area, Connatser rejoined Virginia Elite as a floater coach, and has continued to assist in coaching various youth clinics. Connatser currently resides in Fairfax, Virginia, and works for Cutco Cutlery as a receptionist and sales representative. She now plays for the Northern Virginia Community College Nighthawks as a 6-rotation outside hitter.